Yoogane’s New Combination! Signature Chicken Galbi with Beef & Pork! 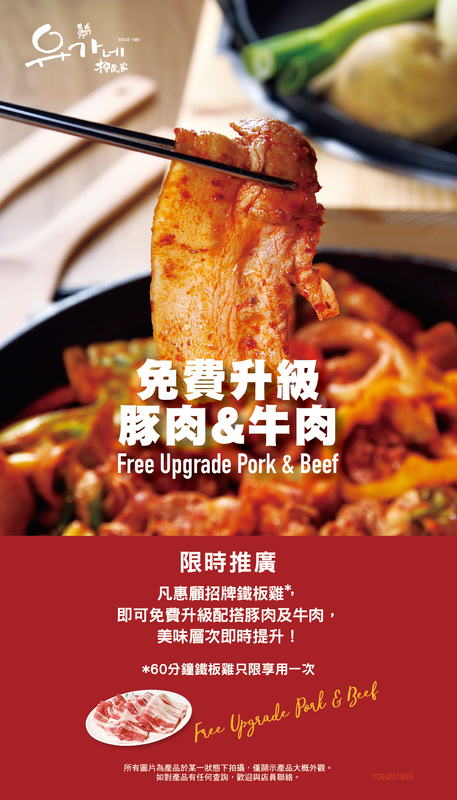 Customers who choose Signature Chicken Galbi, may enjoy free upgrade beef and pork! Check this tasty and awesome combination at Yoogane! This entry was posted in 公司資訊, 柳氏家 - 推廣, 柳氏家 - 消息. Bookmark the permalink.